My new roommate can’t believe how little I own. I just feel good about not having things. I recently learned there’s a psychological term for this: Obsessive Decluttering. I realize this may sound like a contradiction, but I’m also continually hunting for quality items. Yes, that’s true. I will pay almost any price for a product that is exactly what I need and nothing more. Well, I needed a case for my tablet, and I found a solution with everything I needed and nothing more: the Bolt Crossbody Laptop Bag by Waterfield Designs. I’ve reviewed several Waterfield products, and, like the others, the build quality on the Bolt Crossbody is impeccable. It’s made of a durable waxed canvas with full-grain leather for the accents. I tend to use mine for urban adventures, but I think it would withstand a wilderness (and rainfall) adventure just as well. That’s the kind of quality we’re talking about. Beyond the leather and canvas, it’s the little things that drive this bag from adequacy to excellence. Sturdy YKK zippers seal the main compartment and protect the secure pocket in the back. The interior has a separate pocket lined with padding to help protect your tablet (or laptop) against bounces and jostles. It’s lined with a golden material, a color that reflects light really well, which makes it easy for you to see your stuff inside (I love that). The front has a magnet closure with a nice snap to it, inside of which is an ultrasuede pouch, just big enough to hold your iPhone Plus or Pixel XL. Stout rings hold the strap in place but also allow for some contour motion as you carry it. In short, Waterfield has a lot of experience designing bags for tech, and that history has led to some insightful features. This attention to detail makes me excited to own this bag. I’m an author who writes on a tablet—that’s an example of how I try to minimize what I carry. The Bolt matches that same ideal. I love it. It’s small enough that when I carry my lunch to work in it, I can throw the whole thing into the fridge. (Make sure your electronics aren’t in it when you do.) Because it’s small and lightweight like this, I’m never reluctant to bring it along. The magnet on the outside pocket is a brilliant addition. It always stays closed, which looks nice, but it’s also super easy to access. Frustration free. A great feature. The handle on the back is one of my favorite features. It’s sewn tight against the bag, which gives you control when holding it, so the bag doesn’t swing around loosely. I’ve found myself using this handle (rather than putting the bag over my shoulder) about half the time. I got the smallest size, which is 11×9” inches. That’s just right for my Pixel C tablet or your iPad. (They say it’ll fit an iPad Pro too, but I haven’t tested that yet.) If you need something bigger, Waterfield makes two larger sizes, the biggest of which is 14×12”, which should fit your 15” MacBook (or similarly sized laptop) just fine. This bag looks great. The waxed canvas has both a rugged and a classy vibe, fitting a variety of styles. The dark chocolate leather is beautiful and provides a nice accent. In the photos, you’ll notice a slight shift in the apparent contrast between the leather and canvas; that’s all accurate though and just depends on the lighting. Also, when you buy, Waterfield offers three colors of leather; I chose chocolate. They also let you swap the waxed canvas for a ballistic black nylon, which is a synthetic textile that gives the bag an entirely different look, which you can see on their site if you’re interested. These variations leave room for a lot of variety. As usual, though, I’ll let you judge the style from the pictures. I have owned three Waterfield products, and I’ve been impressed with each. The Bolt Crossbody Laptop Bag is my favorite though. It is built with the same quality I’ve come to expect from Waterfield, and it also matches the utility I’m looking for—without any excess. Overall, I am an avid fan of their designs. I would eagerly buy another bag from them in the future to match whatever device I might own next. 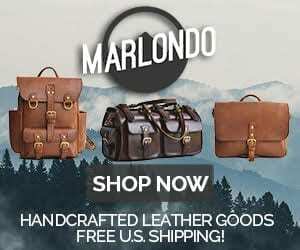 1 Comment on "Waterfield Bolt Crossbody Leather Laptop Bag Review — $199"